Service Locations can help you keep track of different locations associated with the same Customer. If your Customer owns several restaurants, for example, you can keep track of the Invoices and Estimates sent to each individual location by creating and utilizing Service Locations. To create a new Service Location, you will first need to search for your Customer. To do so, use the Keywords search box at the top right-hand corner of your account. Make sure that the Customer button is selected! Click on your Customer in your search results to open their profile page. Scroll to the very bottom to find the Service Locations section. Click on the blue +Add button to create a new Service Location. You can enter a Contact name, address, and phone number. For example, the manager of this particular restaurant. 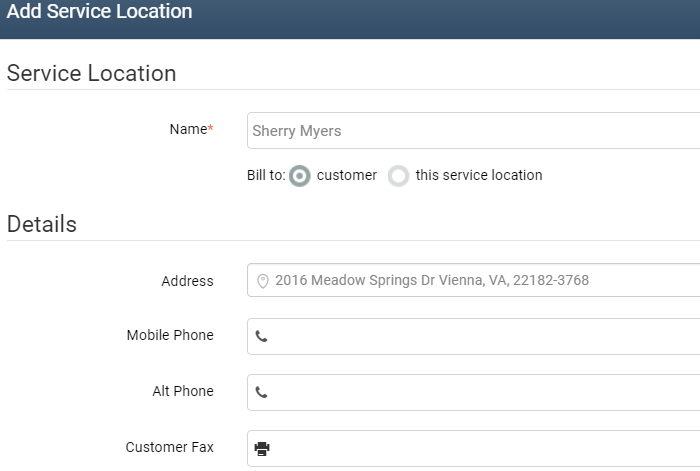 After they are created, Service Locations will show in your Customer list by default. 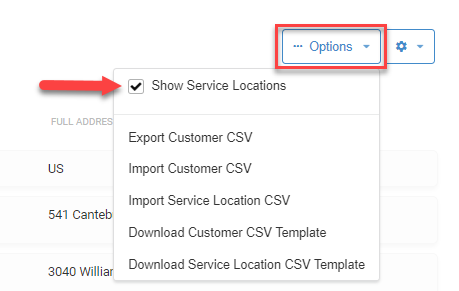 If you need to, you can show or hide Service Locations in your Customer list by clicking on Options > Show Service Locations.